US Secretary of Defense James Mattis said in a press briefing on Tuesday that the US had no plans to suspend any further military drills with South Korea. 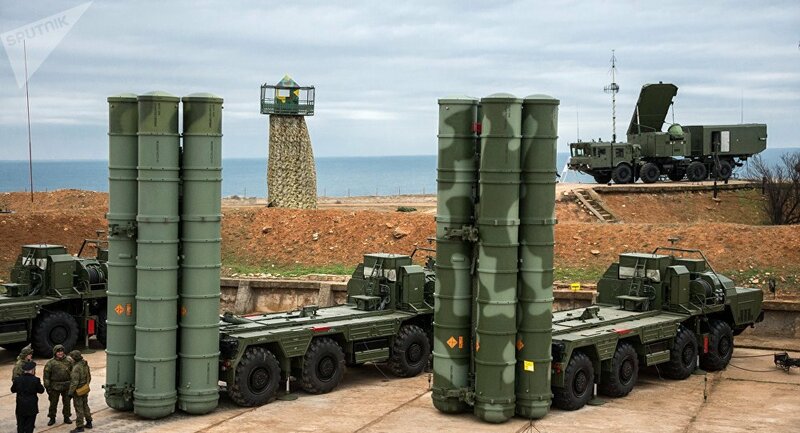 US Defense Secretary James Mattis has announced that Turkey’s intent to purchase Russian S-400 air defense systems concerns the United States and Washington takes a dim view of such a move. "Turkey had a choice to make, a sovereign decision to make. But clearly Turkey bringing a Russian anti-aircraft, anti-missile system into a NATO country, we cannot integrate that into NATO," Mattis said. "Yes, it does concern us and we do not recommend that." Speaking about Afghanistan, Mattis said that privatizing forces in the country was likely not a smart idea. "When the Americans put their nation's credibility on the line, privatizing it is probably not a wise idea," Mattis told reporters. "But as far as a permanent US presence, number one, there are 39 nations supporting the UN-recognized government. It is not US presence alone and it should not be implied that way. We are there in order to ensure that America's security — just think back to 9/11 and this building — is not threatened out of that location." Mattis also announced that his office has no plans to suspend any future military exercises with South Korea as part of the diplomatic effort aimed at North Korea's denuclearization. "We have no plans at this time to suspend any more exercises. We will work very closely as I said with the Secretary of State and what he needs done, we will certainly do to reinforce his effort, but at this time there is no discussion about further suspensions," he said. Mattis explained that the US military only suspended several of the largest exercises, but that there are constantly smaller exercises taking place on the Korea peninsula. The Defense Department suspended Freedom Guardian, and two other Korean Marine Exchange Program training exercises that were scheduled to take place this summer. According to the defense secretary, the United States will hold Iran accountable for its alleged destabilizing actions in the Middle East. "Iran has been put on notice that the continued mischief they've caused around the area, the murder that they have caused, the support from Syria and what they're doing with [Syrian President Bashar] Assad, the threats about the Straits of Hormuz, the Houthis with the missiles that are being fired into Saudi Arabia or the Iranian supplied UAVs that are being flown against international airports, that this is not tolerated by us and they're going to be held account for it," Mattis declared. While Mattis admitted that in some cases Iran has been less confrontational recently, he also insisted that fundamentally Tehran remains the biggest destabilizing element in the Middle East. Iranian forces operate in Syria in support of the government of President Bashar Assad. The United States also accuses Iran of arming Yemen's Houthi rebels, though Tehran denies involvement in the conflict. When asked if the US support for the Saudi-led coalition in Yemen was unconditional, Mattis told reporters, "No, it is not." Mattis added the conditions placed on the Saudis include that "they do… everything humanly possible to avoid any innocent loss of life, and they support the UN brokered peace process." Mattis also revealed that the United States had recently discussed the use of chemical weapons in Syria with Russia, after media reports that Syria was moving chemical weapons into a rebel-held area the government seeks to recapture. "You have seen our administration act twice on the use of chemical weapons," Mattis told reporters. "I will assure you that (the) Department of State has been in active communication, recent active communication, with Russia to enlist them in preventing this… The communication is going on."